Brooklyn Record Exchange, a new excursion from independent record label Mexican Summer and Mike Hunchback and Ben Steidel of Co-Op 87, is the destination for music discovery and dreaming. BRE is located in Bushwick in the same complex home to celebrated music venue Elsewhere and Danny Bowien’s latest Mission Chinese outpost, and a second location on 87 Guernsey Street in Greenpoint in the same building as the Mexican Summer office space and recording studio. 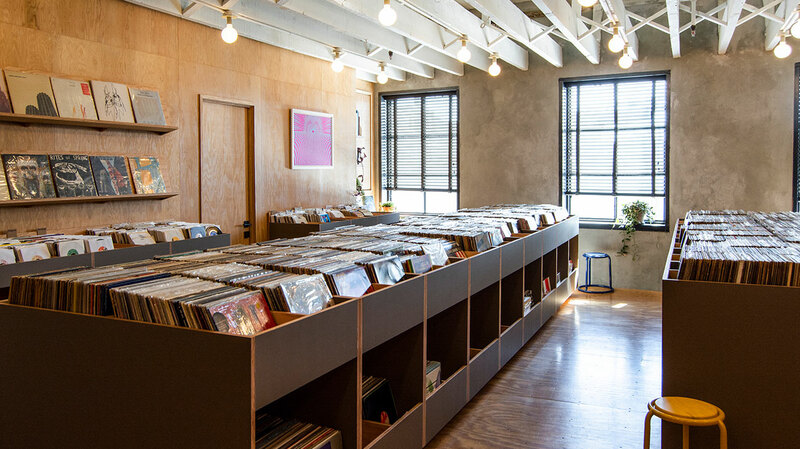 Brooklyn Record Exchange reimagines the classic record store experience within a spacious yet welcoming environment designed for wandering and wondering. Within and across its walls and nestled in its deep bins, Brooklyn Record Exchange’s selections jump genres and travel time ensuring music enthusiasts of all walks will find that record that redirects their orbit. BRE opens its doors on Saturday, March 30th, and shop hours are Sun-Thurs 12-8pm, Sat-Sun 12-9pm.